Not getting relevant interview Calls??? You probably need a well written resume because you don’t get second chance for the first impression!!! “Interviewers make judgment on your skills, experience, and qualifications within seconds while reading your resume”. There is one sure fire way to succeed is to present an impressive and power resume, well written by our expert team at Anyonyam Consulting Services. We offer ‘VALUE FOR MONEY’ pricing as low as 50% price of what other companies are charging for the same services. We also write professional cover letters to effectively introduce you to the prospective employers. We charge just a few additional rupees to write an effective cover letter for you. Opt for a plan as per your experience level and let us review your cv first. Our experts will let you know why, and what changes are required if necessary. After you decide to go with our resume writing service, you need to make the payment as per your plan. Please scroll down to see the plan/ payment details. You need to share your updated credentials with us in order to complete the writing process. Our professional resume writing expert will make you a call for one to one discussion to get all the prominent details. Once we are done we will email the professionally written resume to you for a review. SMS “PRWS” to 9811917157 or Whatsapp “PRWS” at 9811917157 to get a call back. You can also call us directly at 9811917157. TO DOWNLOAD WORD RESUME FILE: visit “www.anyonyam.com/cv/your registration number.doc” in your web browser. TO DOWNLOAD PDF RESUME FILE: visit “www.anyonyam.com/cv/your registration number.pdf” in your web browser. Kindly share your cv at resume@anyonyam.com, please do not forget to mention <Professional Resume Writing Services> <Your Name> in the subject line. 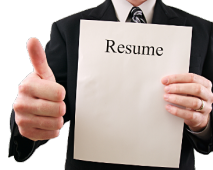 After a review our resume writing expert will get in touch with you.